Broken Files can be a serious hardship. Not any more. The amount of torque created at the tip of this forceps is unparalleled. 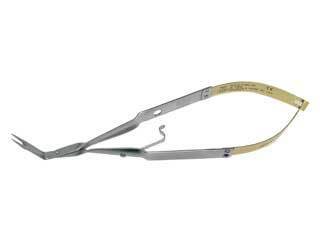 Steiglitz Style Endodontic Forceps for retrieving separated files and silver points. Will not splay or slip when only a minimal purchase point is available. North/South angulations address the bucco-lingual chamber orientation of anteriors and bicuspids. Micro-tipped with serrated carbide inserts.